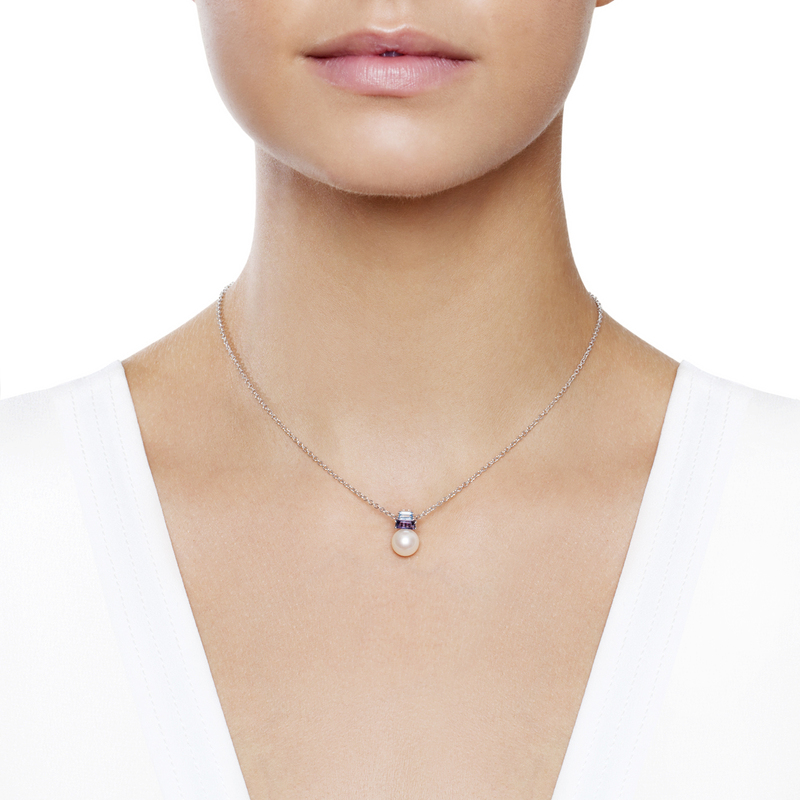 A pretty and modern twist on the classic pearl drop pendant. Eye catching in just the right way. 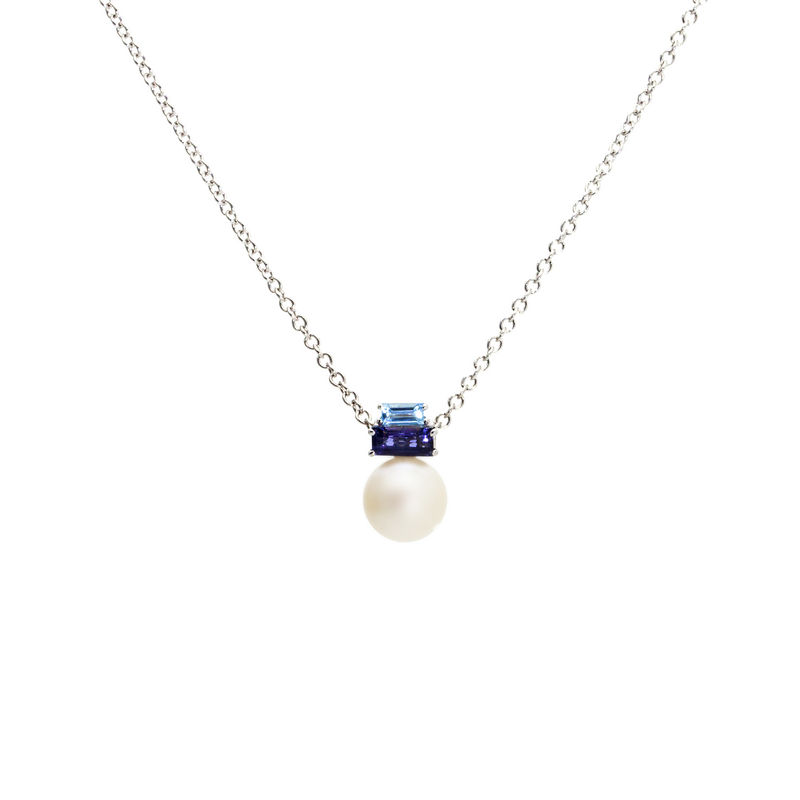 White pearl, Iolite, topaz in 18 carat white gold.